Almost Neuromancer, they have an extra chromosome. Rage 0 is right… my bad. Is it just me, or is the one in blue in the top right corner kinda hot? I mean like, retarded-hot. Oh my god. I RECOGNIZE those people. 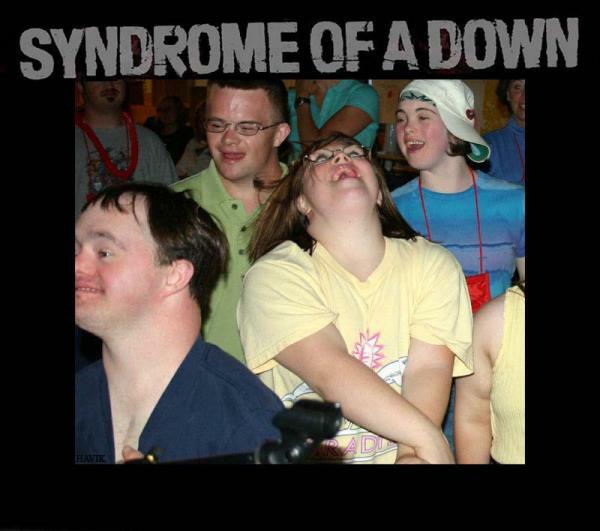 They’re in the special ed class in my school. Wow it’s a small internet. Alec…i think its just you and Ando 😛 but…if i had down syndrome…i guess i’d hit it! !